Earning Airpoints: What credit cards offer airpoints dollars? For keen travellers, earning free flights just for spending your own money is a nice incentive to grab a flight rewards credit card. But the credit card rewards space has seen a decent shake-up in New Zealand over the past year. 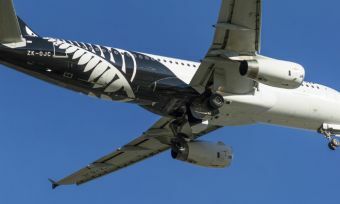 In October 2016, the Air New Zealand loyalty scheme, Airpoints, and Fly Buys called time on their partnership after working together for six years. The two organisations are now focussing on their own loyalty programmes. What that means for consumers is that Fly Buys customers can no longer earn Airpoints Dollars through the Fly Buys programme. Instead, Airpoints members can earn Airpoints Dollars at new direct Airpoints partners. And there are still a number of credit cards available which allow you to earn Airpoints. While most flight rewards credit cards earn Airpoints, some cards also operate through Quantas’ flight rewards system: Quantas Points. First, let’s take a look at what airline rewards credit cards are. What is an airline rewards credit card? An airline rewards credit card is where cardholders earn points towards flights, but it can also include points towards travel insurance, concierge services, and merchandise from the card’s partner airline. Generally, you can also earn bonus points for using that same credit card to buy your flights. Business people who fly regularly might find this is the best credit card for rewards because they know they’ll be sure to use the flight rewards. However, an airline rewards card is also useful for people who save up their points for years to use on a long-distance or around-the-world trip. CANSTAR’s research has found that an airline rewards card is more suited to people who spend at least $12,000 a year on their credit card. If they put a lower amount than this on their card, they will probably not accumulate enough points to make the annual fee on the rewards programme card worthwhile. In Canstar’s latest ratings review of *44 credit cards, we’ve identified 12 credit cards from four companies that allow customers to earn Airpoints Dollars (Air New Zealand’s flight rewards programme). However, keep in mind not all flight rewards cards are created equal so, as is the case with all credit cards, choose a card to suit your current spending – rather than the other way around. 44 refers to the number of credit cards that have received a full rating in 2016. In the Low Rate and Low Fee profiles, credit cards must have been available to consumers for six months to receive a full star rating. Products that do not meet this requirement will be eligible to receive a “rising star” award. Just as an example, the American Express Air New Zealand Card has zero annual fee, and a 19.95% interest rate. You have to spend $100 to earn one Airpoint Dollar with this card. On the other hand, Kiwibank’s Airpoints Low Fee MasterCard has a $25 annual fee and a lower purchase interest rate of 16.95%. But you have to spend $160 in order to earn one Airpoint Dollar. 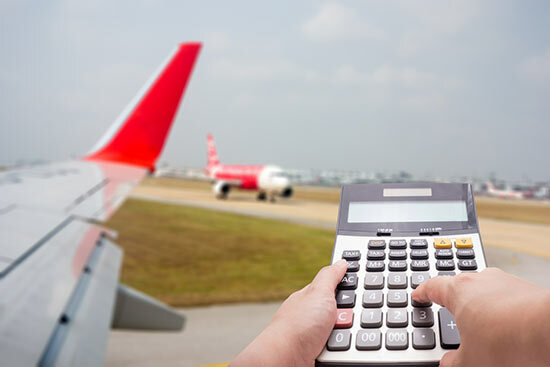 Make sure you weigh up whether your current spending will really earn you enough in flight rewards to offset any possible fees. As part of the 2016 ratings report, Canstar has broken down star ratings into different spending levels. Based on a $12,000 per year spend, American Express has earned five-star ratings for both its Platinum Edge Credit Card and it’s Air New Zealand Card. In the $24,000 per year spend category, American Express also won a five-star rating for its Platinum Edge Credit Card, Westpac and Kiwibank won five-stars for their Airpoints Platinum MasterCard offering, and ANZ received 5-stars for its Airpoints Visa Platinum. There were five five-star winners, in the $120,000 a year spend category: Westpac’s Airpoints World MasterCard, Kiwibank’s Airpoints Platinum MasterCard, Westpac’s Airpoints Platinum MasterCard, ANZ’s Visa Platinum and American Express’ Airpoints Platinum Card. Source: www.canstar.co.nz Information correct as at 19th December 2016. *Manual transfer (min. 2100 MR points) required from Membership Rewards to Air New Zealand. As you can see, the required spending level to earn Airpoints Dollars varies greatly between credit cards – starting at $59, all the way up to $175 to earn one Airpoint Dollar. But a card with a low required spend to earn Airpoints Dollars might mean there are other charges attached, such as a higher annual fee and a higher purchase interest rate. The minimum interest rate for a rewards credit card is 16.90%, considerably higher than the minimum for non-rewards credit card, at 12.69%. And the average fees for credit cards with rewards is more than $100 higher than the average fee for a credit card without rewards – $143.65 vs $39.53. Not to mention, the maximum fee for a rewards credit card is $390, compared with only $80 for a non-rewards card. Platinum cards do have maximum fees as high as $1250, but these are charge credit cards rather than rewards credit cards. Unlike standard credit cards, charge cards do not have a pre-set spending limit. But you have to pay off the amount you charged to the card – in full – each month. The golden rule with credit card rewards is to always keep in mind what your current spending is, to establish whether any rewards outbalance any fees. 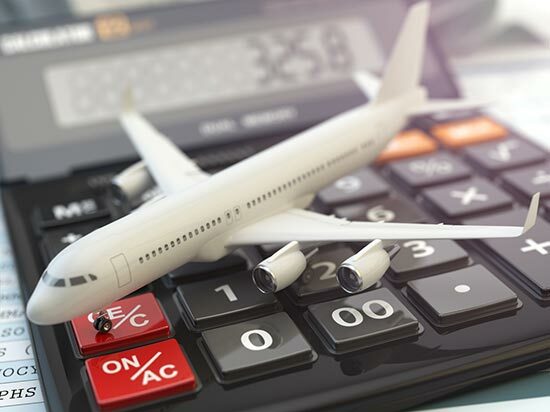 Make sure you factor in interest rates and fees, so you can understand what the flight reward is really worth – and what you have to spend to get those rewards. It’s pretty common for credit card providers to offer a little extra sweetener in the form of bonus Airpoints Dollars, to entice customers to sign up. As at 19 December, nine of the 12 Airpoints Dollars credit cards on Canstar’s database were offering sign-up bonuses or offers. As with any financial product, make sure you read any terms and conditions carefully before signing on the dotted line. And, as they say, all good things must come to an end; offers generally have expiry dates so watch out for that.